To WormMail mailing list. (recipients undisclosed). (But wait – foxes can be involved in sheep measles – so there is a ‘worm’ connection there too. And marathon runners? Well, some of the elite ones look a bit wormy, don’t they?). Want to improve lamb survival? 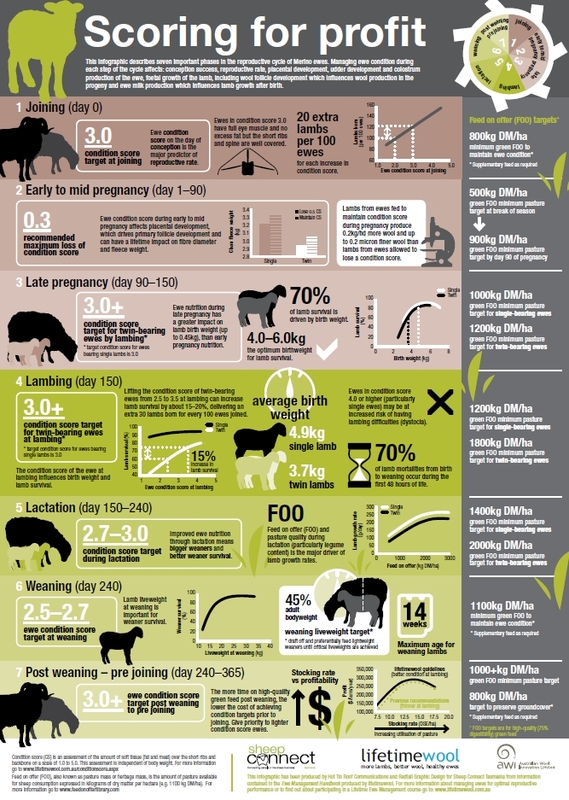 This infographic (available as an A3 poster – call AWI Helpline on 1800 070 099) considers condition score in Merino sheep at seven important phases of the reproductive cycle. This is an app for iPhone. An app for Android, and an update of the iPhone app, is in the pipeline. http://beyondthebale.wool.com/#folio=20 – and other articles on wool in sport. “A new collaboration between the Vertebrate Pest Research Unit, the University of New England (UNE) and the Office of Environment & Heritage has seen an array of permanent camera traps established in the Green Gully section of Oxley Wild Rivers NP, east of Walcha.Under the supervision of Dr Guy Ballard and Dr Peter Fleming, UNE Masters student Joshua Van der Eyk will use the cameras to monitor the activity of invasive predators, such as red foxes, before and after broad-scale poisoned baiting. Red foxes are a declared pest in NSW as they represent a significant threat to livestock and native fauna. Developing cost-effective means of monitoring foxes in remote environments is vital to ensure our natural resources are sustainably managed into the future”. First published by Dr Guy Ballard 11 May in ‘DPIactive’, an internal NSW Dept. 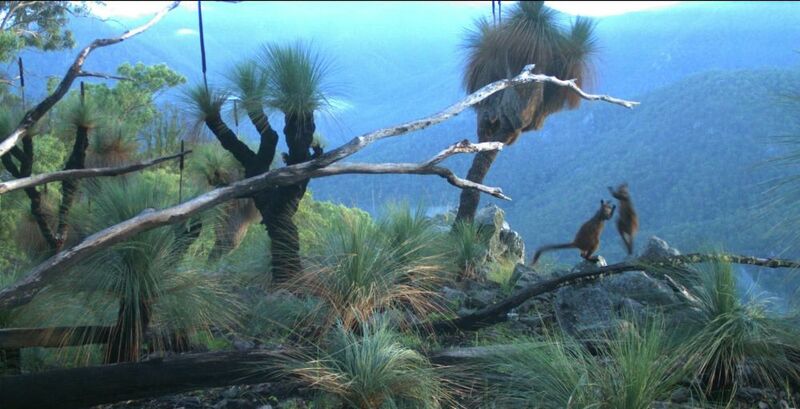 Primary Industries blog, under the title, “Monitoring red foxes around brush-tailed rock wallabies”. Don’t guess, worm test – As we always say..
Use it or lose it – Testing for parasitic diseases is provided by both government organisations and private laboratories. The continued provision of these services will depend on livestock owners using them. The continued improvement of these services will also depend on demand from livestock owners. DNA technology – There is one suite of DNA-based tests available for livestock owners to use now. Much more can be done with DNA-based testing in the future. Australian researchers have been at the forefront of developments in DNA-based tests for parasite diseases of livestock since the early 1990s. Will this continue? Excluding some viruses, all living things possess DNA at all stages of their lifecycle. DNA is a polymer made of just four chemical units, the “bases” A, C, G and T. Because of the simplicity and universality of DNA we can use it to detect organisms, detect changes within organisms, predict the function of organisms and also manipulate organisms to change their function. Since the 1970s we have been living in an age of DNA technology which has transformed medical diagnostics, pharmaceutical manufacturing and biological research. The same technology has had some impact in crop agriculture through enhanced breeding capacity (genetic diagnostics) and to a far lesser extent, transgenic crops. Livestock agriculture has not seen the same rewards from the age of DNA technology as medicine and crop agriculture, but there has been some adoption of the technology. In animal breeding, especially dairy cattle, pigs and chickens, the adoption of the same genetic diagnostics technology used by crop breeders has had an impact on genetic progress, and this is beginning to occur for sheep and beef cattle as well. The use of DNA technology to detect pathogens and other organisms in livestock animal samples or in the animal’s environment has taken longer to adopt. Nevertheless, the detection and characterisation of a range of viral, bacterial and protozool diseases has become part of state-organised biosecurity monitoring and disease control. Mostly, the use of DNA-based technologies has been limited to surveillance and research programs, however some use of the technology as part of routine diagnosis occurs. Examples include the detection of ovine herpesvirus (bovine malignant catarrh) by AgWest and the detection of six different disease organisms in cattle by Gribbles (http://www.gribblesvets.com.au/). Also, at NSWDPI’s Elizabeth Macarthur Agriculture Institute, there are many PCR-based diagnostic tests for genetic-, virus- and bacteria-related diseases (http://www.dpi.nsw.gov.au/research/centres/emai). The use of DNA technology to detect helminth parasites dates from the early 1990s. During those years a number of labs produced tests that can distinguish between species of nematodes. The first tests we used at CSIRO in Armidale were those developed by Robin Gasser at the University of Melbourne. These involved the extraction of DNA from individual larvae or eggs, amplification of a specific gene fragment, called ITS2, and the cleavage of the amplified fragment with enzymes (restriction endonucleases). ITS2 varies in its sequence between, but not within species, so the pattern of DNA pieces produced by enzymatic cleavage can be used to tell which species the larvae belonged to. The Gasser lab developed tests for a barrage of species infecting sheep, goats, pigs, horses, humans and cattle. Therefore, since the mid-1990s we have had the ability to tell the species composition of worms from faecal eggs, or worms from faecal cultures. The only barrier to adopting this type of test for commercial use is the cost. One hundred or so DNA extractions and subsequent steps per sample is a significant cost, even at today’s more reasonable consumables prices. The labour involved is also prohibitively costly. Although the latter parts of the procedure are easily automated in today’s laboratories, the individual worm or egg picking step remains a significant bottle neck. Despite this approach being unsuitable for routine diagnostic use, it is still used in research, and recent work in New Zealand by Stewart Bisset and colleagues has further improved the method (Bisset et al., 2014). It was also in the 1990s that the development of genetic markers to distinguish between populations within a species of parasite began. This initial research was in Haemonchus contortus, H. placei and Trichostrongylus colubriformis, and genetic markers were discovered for benzimidazole (‘white drench’) resistance in H. contortus (Marlene Roos and colleagues in the Netherlands – Kwa et al., 1994) and T. colubriformis (Warwick Grant and Lisa Mascord at CSIRO Armidale – Grant and Mascord, 1996). At the same time Leo Le Jambre (CSIRO Armidale) and Marlene Roos were working on developing microsatellite markers for H. contortus and H. placei, and Ken Beh (CSIRO Glebe) was developing markers in T. colubriformis (e.g. Otsen et al., 2000; Le Jambre et al., 1999; Callaghan and Beh, 1994). These markers were to be used to map resistance genes for other drug resistance, the focus at the time being ivermectin. In the late 1990s two new types of DNA detection technology were developed. The first of these was microarrays or “chips” (Schena et al., 1995; Gupta et al., 1999). Microarrays are capable of detecting many different pieces of DNA simultaneously, and they found uses in detecting organisms from environmental and pathology samples. To my knowledge, this use has never been applied to samples of DNA from livestock animals for detecting parasites, but it could be. The more common uses of microarrays became the analysis of gene expression in research and, as a genetic diagnostic test in medicine, plant and animal breeding where many variants of genes can be assayed simultaneously. Despite some changes to the technology, the second use remains important today, through the application of genomic selection in agriculture. The use of arrays for gene expression analysis has been superseded by newer technologies, but was a core part of biological research for slightly more than a decade. Microarrays were used by UNE, CSIRO and others in the SheepGenomics program, for both gene expression and genetic diagnostic work, and the use of gene chips for “genotyping” animals was subsequently developed and consequently is now in use for sheep breeding. The polymerase chain reaction (PCR) is the method used to amplify specific gene fragments, a crucial step in most diagnostic tests except for microarrays. The second innovation of the late 1990s which is relevant to our discussion was real time PCR (Heid et al., 1996). This enables the reaction’s progress to be monitored over time as it occurs. PCR reactions typically take 1-2 hours and by the end the reactions become less efficient as reagents are exhausted. This is why real time PCR was important as it can be made quantitative by monitoring the reactions during the earlier linear phases of the reaction. Over the years refinements to real time procedures have allowed the development of reliable reactions which allow quantification of the target, qPCR. Target quantification meant that a sample which was derived from a mixture of individuals could be used and the relative content of each type to be calculated. 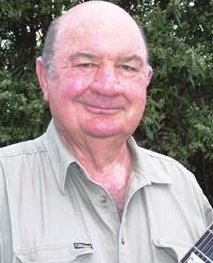 When I returned to Armidale in 2002 I had some experience with qPCR and Steve Walkden-Brown (UNE) had just purchased a qPCR machine for poultry virus detection work in collaboration with CSIRO. Within a year we had embarked on a program of research to develop qPCR tests to detect parasites, realising that the costs of the original Gasser lab tests could now be reduced by up to 100 fold because mixed samples containing hundreds of larvae or eggs could be used. The first work we did used pasture samples in collaboration with Brown Besier (DAFWA) and Ian Carmichael (SARDI) (Sweeny et al., 2012). The tests we developed were based on the ITS2 gene and used SYBR green technology, which allows the detection of only one type of DNA in each tube. So, we needed a separate reaction tube for each species to be detected; for example to detect H. contortus, Teladorsagia circumcincta and T. colubriformis three tubes are needed, and six if you want to do the reactions in duplicate for better quality control. We had begun to make progress on these tests when a change of funding meant we had to adapt them for use on faecal samples, rather than pasture washings. Although this slowed technical progress, it did allow a new collaborative agreement with Robin Gasser at the University of Melbourne, and this helped us produce two options of tests for future development. In the first of these (Bott et al., 2009), we used nematode eggs purified from faeces as the target material, avoiding the problems of extracting DNA from whole faeces which contains inhibitory chemical substances. This suite of SYBR green tests was used to demonstrate the potential of the technology by multiple students from the University of Melbourne, including Florian Roeber (Roeber et al., 2011). Although this technology was only intended as a prototype, its use attracted commercial interest and the E-DNA tests which are now available are these same tests. For each sample, nematode eggs are separated from the faecal sample, and for each species assayed, a separate reaction is prepared. In the currently used format, no attempt is made to use the tests to quantify the total number of nematode parasite eggs in the sample. Rather, the sample is subject to a standard microscopy-based faecal worm egg count (FWEC) and the qPCR is used to quantify the relative proportions of each species assayed which are present. There is nothing wrong with this approach, but it is not the only way in which the tests could be used. The second test option was to use a different chemistry, fluorescent hydrolysis probes, to simultaneously assay more than one species of parasite, in what are termed multiplex tests. In this option, the labour of setting up the reactions was reduced as there were fewer reaction tubes necessary per sample. At the same time, we set out to use intact faecal samples to extract DNA rather than purified eggs. This was because we could further reduce labour, using qPCR to do the FWEC at the same time as the species composition, and also to allow the flexibility of detecting non nematode parasites and other pathogens using the same sample. We reported the use of these whole faeces multiplex tests (McNally et al., 2013 Hunt et al., 2014) some time ago, and have also demonstrated that Fasciola hepatica can be detected specifically using the same type of samples (McNally 2013). Unfortunately a pathway to commercialisation of these tests has not yet been found. We attempted to validate the tests using the SCAHLS committee criteria, but refining the method in response to the SCAHLS evaluation was abandoned due to funding issues for both CSIRO and SCAHLS. Labour is the biggest cost in diagnostic laboratories, and any tests developed that reduce labour input per sample would be desirable. An economic reality however is the need for high throughput to make the most of any labour input, irrespective of the efficiency per sample. Parasite detection in the laboratories will continue to improve if the uptake of testing by livestock, because of efficiencies of scale. This will reduce costs for the laboratories which could be passed on to the customer, irrespective of the type of test employed (e.g. microscopy or qPCR). However, even my basic knowledge of economics leads me to the obvious caveat: there has to be competition between labs to create downward pressure on prices. The role of extension in this process cannot be overstated. Better communication to livestock owners of the benefits of testing is to my mind a key future requirement. Research to provide better, more persuasive evidence for consultants will help. Another factor which might assist is a change in the amount of attention given to livestock kept as a side-line or even as pets. Even though these animals are not part of a highly efficient production system, their welfare and health is just as important to their owners, the disease organisms they harbour can affect other livestock enterprises and some of the operations are able to utilise parasite control strategies which would be uneconomic on larger scales. I believe it is these questions of scale of operation for both diagnostics labs and livestock owners, and the perceived need for parasite testing from livestock owners which will dominate the near future of these technologies. Having said that, let’s look at some of the technological possibilities which might also arise. First, as indicated above, there are already improvements to the qPCR tests in the pipeline. Some of the technical issues around faecal DNA extraction could be solved with some more empirical work, and a more thorough evaluation of the technology should be able to demonstrate its use in place of a microscopy-based count in time. Second, the use of ITS2 is somewhat of a historical artefact. With mitochondrial genome sequence now available for many nematode parasites of livestock and whole genome sequence now available for H. contortus and T. circumcincta, there are many more genome fragment options which might prove to be more reliable than ITS2. One issue with ITS2 and mitochondrial DNA is an unknown copy number. If gene segments which were highly species specific and unique within the genome were used, there may be an increase in the reliability of the relationship between worm numbers (as eggs or larvae) and qPCR outcomes. This might come at the cost of decreased sensitivity, but optimising PCR reaction conditions can minimise this effect. Such improvements would not change the type of information given to livestock owners, or the way in which samples were submitted, but would increase the quality of the information. Third, the use of DNA to merely count worms is not really making the most of this technology. DNA-based tests should, and could, be used to tell livestock owners so much more. For some time I have advocated the use of genetic diagnostics for parasites. The monitoring of genetic change over time in parasite populations would add a dimension which is not available using any currently existing methods. The effects of stock introductions, failed quarantine drenching, movement of parasites through flood water or the selection of drug resistant genotypes might all be monitored through genetic diagnostics for parasites. Such technology would rely on microarray platforms, and be used a small number of times on bulk, flock or herd-level samples to track population change. Properly engineered, the microarrays would be able to detect species composition change in conjunction with intra-species genetic change. Adopting a lesson from livestock breeding would make the best use of the technology. Accumulating data for a series of properties over time including some basic information about stock and management procedures and weather data, could generate self-improving algorithms which predict animal health and parasite control outcomes. This is similar to the ways in which the breeding values of individual animals for given traits are estimated to a higher degree of accuracy as more data from relatives is combined into the database. In this case we are interested in individual properties, rather than animals, and individualised farm management rather than genetic progress. Bisset, S. A.; Knight, J. S.; Boucher, C. L. G. (2014) A multiplex PCR-based method to identify strongylid parasite larvae recovered from ovine faecal cultures and/or pasture samples. Veterinary Parasitology 200 (1/2): 117-127. Nathan J. Bott, Bronwyn E. Campbell, Ian Beveridge, Neil B. Chilton, Dianne Rees, Peter W. Hunt, Robin B. Gasser (2009) “A combined microscopic-molecular method for the diagnosis of strongylid infections in sheep” International Journal for Parasitology 39(11): 1277-1287. Callaghan, M. J. ; Beh, K. J. (1994) A middle-repetitive DNA sequence element in the sheep parasitic nematode, Trichostrongylus colubriformis. Parasitology 109(3): 345-350. Grant, W. N.; Mascord, L. J. (1996) Beta-tubulin gene polymorphism and benzimidazole resistance in Trichostrongylus colubriformis. International Journal for Parasitology 26(1): 71-77. Gupta, P. K.; Roy, J. K. ; Manoj Prasad (1999) DNA chips, microarrays and genomics. Science 77(7): 875-884. Heid, CA; Stevens, J; Livak, KJ; Williams, PM. (1996) Real time quantitative PCR. Genome Research 6(10): 986-994. Kwa, M. S. G. ; Veenstra, J. G. ; Roos, M. H. (1994) Benzimidazole resistance in Haemonchus contortus is correlated with a conserved mutation at amino acid 200 in beta-tubulin isotype 1. Molecular and Biochemical Parasitology 63(2): 299-303. Le Jambre, L. F.; Lenane, I. J. ; Wardrop, A. J. (1999) A hybridisation technique to identify anthelmintic resistance genes in Haemonchus. International Journal for Parasitology 29(12): 1979-1985. McNally, J., Callan, D., Andronicos, N.A., Bott, N. and Hunt, P.W. (2013) DNA-based methodology for the quantification of gastrointestinal nematode eggs in sheep faeces. Veterinary Parasitology 198: p325-335. Roeber, F. ; Jex, A. R. ; Campbell, A. J. D. ; Campbell, B. E. ; Anderson, G. A. ; Gasser, R. B. (2011) Evaluation and application of a molecular method to assess the composition of strongylid nematode populations in sheep with naturally acquired infections. Schena, M. ; Shalon, D. ; Davis, R. W. ; Brown, P. O. (1995) Quantitative monitoring of gene expression patterns with a complementary DNA microarray. Science 270(5235): 467-470. Sweeny, J.P., Ryan, U.M., Robertson, I.D., Niemeyer, D., Hunt, P.W. (2012) Development of a modified molecular diagnostic procedure for the identification and quantification of naturally occurring strongylid larvae on pastures. Veterinary Parasitology 190(3-4): 467-481. The following was first published by Jessica Sparkes on 29 May, 2015 under the title, “Little dogs, big issue: Biosecurity scientists review rabies” in DPI Active, an internal NSW DPI blog. 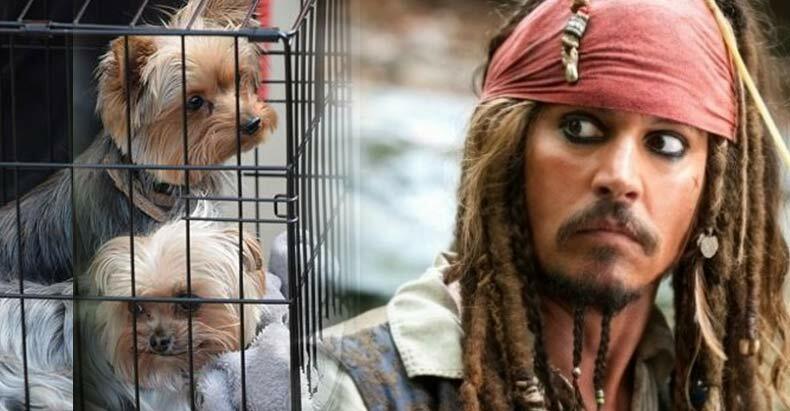 “Johnny Depp’s two terriers, Pistol and Boo, have received a great deal of media attention, locally and internationally. Although this provides comical relief and grist for the Twitter mill, it also opens up myriad questions relating to a disease that could potentially cost Australia billions of dollars and human lives. Of greatest concern for the illegal importation of dogs into Australia is that of rabies, a devastating disease that kills more than 55,000 people annually on a global basis. Due to our current quarantine protocols, this deadly disease has not established in Australia to-date. To assist in the preparedness for such an outbreak, Jessica Sparkes, Guy Ballard and Peter Fleming of DPI’s Vertebrate Pest Research Unit, in collaboration with the University of New England and Sydney University are researching how rabies could spread through Australia’s dog populations. Two recent publications summarise this work, see Canine rabies in Australia: A review of preparedness and research needs and Social, conservation and economic implications of rabies in Australia. Long-term monitoring stations established by DPI staff and local landholders have revealed images of the same wild dog moving almost 40km between livestock production areas before then moving back again. The wild dog’s travel route took him through the rugged Oxley Wild Rivers National Park over a 2 week period. Both the extent of the wild dog’s movement and how the data was pieced together, i.e. from DPI and landholder’s camera traps, reinforces a fundamental need for wild dog management programs to operate across tenure via effective partnerships between public and private land managers. This story first appeared in ‘DPI Active’ and is republished here with permission. Like most of you, I take most health/science reports on the web/in the media with a grain of salt, especially now that salt (and dietary fat) have been at least partly rehabilitated following reviews of the evidence. So, scientists are human after all. Researchers have apparently found that having blood type O was associated with more grey matter…. (but this association or correlation somehow, in this article, got transformed into causality: the article heading says ” type O protects against cognitive decline via gray (sic) matter”. But, I am happy to go with this because …yep, my blood type is O. But that should have been obvious, a no-brainer. I will, of course, ignore the bits in the article I don’t like. By the way, I am even sceptical of reports coming out of prestigious facilities, even the Charles Perkins Institute at Syd Uni. eg. see here…”The devil may be in the detail (reading science reports) ” at https://wormmailinthecloud.wordpress.com/2015/04/14/wrml-2015-04-14-partial-flock-treatment-in-summer-rainfall-areas-aus-devil-in-the-detail-new-tech/ . In fact, I am generally sceptical. But then everything in (good) science is provisional. Now is a particularly good time to sign up for ParaBoss News – or update your subscription – as prizes are in the offing. The concept of a simple, comprehensive information system for regional (and later Australian) sheep producers probably had its beginnings in the 1980s. At that time, a group of CSIRO researchers (Keith Dash, Peter Waller and others) had developed what was to become WormKill. This was an attempt to have an effective, strategic worm control program for the New England and associated areas, principally to combat the devastating impact of barber’s pole worm using the long acting, narrow-spectrum drug, closantel. It proved very effective, particularly if used with Worm Egg Counts (WECs). Similar programs for sheep worm control (e.g. Worm Plan, Worm Check and CRACK) were also being developed in all states during the 1980s, as drench resistance was recognized as a potentially massive problem. In NSW, an extension program was developed by NSW Agriculture (principally Betty Hall) and attracted attention from north of the border. A visit by Dr Brian O’Sullivan and Dr Chris Baldock from DPI Qld bought the ideas and program back to see if it could be developed for Queensland producers. As Queensland DPI District Extension Officer at Warwick, I became very interested in the Wormkill concept (it fitted nicely into the industry on the eastern Darling Downs) and working with a small team of Chris Baldock, Maxine Murphy and some other DPI staff, we developed the WormBuster program for Queensland. A WEC kit (Early Bird Wormcheck kit) was developed to make it easier for producers to have WECs done by the DPI lab. After a time, Australian Wool Innovation (in one of its previous incarnations) commissioned an online resource called SCIPS (Sustainable Control of Internal Parasites of Sheep). This had been developed by Prof. Nick Sangster, then with the University of Sydney, and it contained a lot of technical information that was very useful to consultants and university students. It had not yet been developed as an extension program to industry, but it was recognised that the basic information applied in all states. In about 2000 or so, some extension officers (Deb Maxwell, Noel O’Dempsey, Maxine Murphy and I) started investigating taking WormBuster into a decision tree-format. This was intended to help people to go through a comprehensive process to make a drenching decision, and a basic framework was mapped out. Soon after, the first Sheep Cooperative Research Centre (CRC) was set up and AWI, as a Sheep CRC partner, became interested in the concept of a national web-based information resource for producers from the presentation I had given to AWI at Armidale. AWI liked the idea and what was to become WormBoss was conceived, funded, and under way. The original WormBoss team consisted of Brown Besier (WA), Steve Love (NSW), Andrew Bailey (Tas), Ian Carmichael (SA), Noel Campbell (Vic), and me, Arthur Le Feuvre, Project Leader (Qld). WormBoss was established as Sheep CRC Project, with the majority of funding from AWI and in-kind funds from CRC partner organisations. The team had some key tasks early: creating a functional framework for the information, identifying and creating content, engaging a website developer, and critically, recruiting support from other key stakeholders such as consultants and veterinary pharmaceutical companies. A major headache was the decision support system (Ask the Boss). Trying to achieve useful and easy to use answers for producers in all the regions of Australia was difficult and, in retrospect, has been much better delivered by the new regional WormBoss Drench Decision Guides. The original web site was set up under AWI auspices and with much support and advice from then AWI web manager, Tristan Viscarra Rossel. The team needed all the support it could get as no one really knew much about setting up information web sites. The AWI project manager, Scott Williams, was also most understanding, supportive and helpful in many ways. AWI wanted more than just a static information resource. They wanted change in industry worm management. This meant that the web site and its information had to be ‘sold’ to the key audience of Australian sheep producers, a group not (at that stage) known for its ready acceptance of the internet as a source of credible information. Besides, producer access to the internet was often poor or non-existent. A marketing and communications company, Currie Communications, was engaged to advise and facilitate this key task. They were very good to work with and provided innovative suggestions to add credibility, attractiveness and dynamics. It was their advice that drove the creation of the WormBoss song, probably the first (and only?) time a song was used as part of a sheep extension campaign. Choosing a name for something that had never been done before was also a challenge and many titles were examined and discarded (similarly with the logo) before ‘WormBoss’ was chosen. The support of Australian veterinary pharmaceutical companies was critical to the eventual success of WormBoss and they provided it generously in the form of advice, information and critical comment—all of it unbiased, ethical and professional. After 18 months of argument, late nights, hair tearing (that’s why I have none! ), begging, and evaluation by many and varied people, WormBoss came together and was ready to launch. 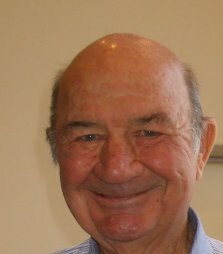 The official launch was conducted by James Rowe, CEO of the Sheep CRC at the Wagin Woolarama in WA, in March 2005, along with a coordinated national media campaign. It must have created some attention as initial visitor numbers to the website grew rapidly. The team decided to offer a regular monthly seasonal update and newsletter via email and the web site in an effort to give subscribing producers a picture of what was happening worm-wise in their regions and what contributing consultants and veterinarians thought should be done in the near future. The first monthly newsletter went out in October 2006 and the service now boasts about 3,500 subscribers. Since launch, the team has seen a number of changes to its membership and the functions they perform. The web site has been substantially updated, with changes in appearance, content and function. The key additions are the eight regional WormBoss Worm Control Programs, which set out an annual program of management. These are complemented by the eight associated Drench Decision Guides, which assist with the day-to-day drenching decisions of whether and when to drench, whether to use a long acting product and what to do next. The Drenches section lists all commercial products, and now is searchable based on the type of worm being targeted, the drench group or active or the length of protection. For each drench, it includes information such as withholding period and ESI, as well as drench resistance notes for the drench groups. WormBoss also has an interactive group-based workshop with ready-to-print material for trainers, consultants and educators, and accreditation for trainers. All have been tested and are very well received. Over 200 producers and other industry related people have attended one day workshops, primarily in the New England region of NSW, to update their knowledge of worm control. The latest feature has been the addition of an ‘at your own pace’ online learning section. So, 10 years on, the key question is this. Has WormBoss done what it set out to do: provide an easily accessed and used tool that is, in fact, used by Australian sheep producers, and can it demonstrate changed and improved ‘on farm’ worm control management practices? All surveys and evaluations show a substantial ‘YES’. Under the second Sheep CRC, WormBoss, with FlyBoss and LiceBoss, were brought into the new ParaBoss program, and the whole is now managed under licence to the University of New England with funding from AWI and MLA in its initial post-Sheep CRC phase, but will have to ‘earn its way’ in the future. The new management is dynamic and focussed on the future and already has enacted some much-needed changes. They have my total commendation. At the end of June, I will be handing over the reins as the ParaBoss News editor to my colleague of many years, parasitologist, Maxine Murphy. From a personal point of view, WormBoss has given me a lot of very interesting insights into the industry and some very generous and wonderful friends and colleagues. It’s been a great journey and a great way to wrap up a 50-year association working for and with a great industry. Thank you all. WRML.2015-06-10. Foxes-sheep measles. WormBoss-10 years-history-Le Feuvre. Win with sheep parasites. Foxes – culprit for high levels of sheep measles in Oz sheep? WormBoss – 10 years old. A history by Arthur Le Feuvre. The article below by Dr David Jenkins of Charles Sturt University Wagga Wagga first appeared in WormBoss News (now incorporated into ParaBoss News). This is another reason why you should subscribe to ParaBoss News: you keep up to date with all the good information on parasites of sheep. And, as added incentive, there are currently prizes to be handed out to lucky new subscribers or those updating their subscriptions. See below. Sheep measles is a parasitic infection of sheep occurring as small white masses in meat. The importance of this parasite is that it causes financial losses to the Australian sheep meat industry and is a potential barrier to the international trade of Australian sheep meat. Data collected in the National Sheep Health Monitoring Program (co-ordinated by Animal Health Australia and supported by the Sheep Meat Council Australia and Australian Wool Producers) clearly shows sheep measles to be widespread and often at high prevalence levels in sheep from all sheep producing areas of Australia. During the last two years, Meat and Livestock Australia (MLA) funded a two-year study charged with determining why sheep measles is so common, revisiting the lifecycle, identifying on-farm risk factors and then determining the financial impact on processors. The sheep measles parasite, Taenia ovis, has a two-host lifecycle with a different body form in each host. Large tapeworms (up to two metres) occur in the intestine of dogs and small cysts about the size of a small pea grow in the muscles of sheep. Mature tapeworms in dogs produce thousands of eggs that are shed daily into the environment via the faeces of infected dogs. These eggs are accidentally ingested by sheep whilst grazing. They hatch in the sheep releasing microscopic 6-hooked larvae that exit the sheep’s intestine, enter blood vessels and are passed to the muscles. Here, over two months, each develops into a cyst containing a tapeworm head. If these cysts are eaten by a dog (via the infected meat), the dog becomes infected with a sheep measles tapeworm. Sheep measles does not infect humans, in contrast to its closely related cousin the hydatid tapeworm (Echinococcus granulosus), and it appears to be of no veterinary importance to either dogs or sheep. Its importance is all down to aesthetics associated with the presence of cysts in meat for human consumption. 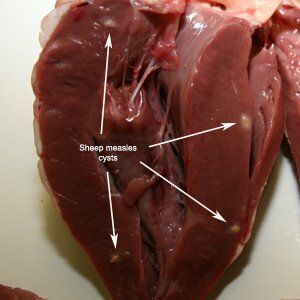 Cysts in sheep remain infective to dogs for 2–3 months after which time they are killed by the immune system of the sheep, developing into a small pus-filled abscess. These abscesses become mineralized transforming into a gritty masses, evolving to hard calcified nodules that remain in the muscle for the life of the sheep. None of these manifestations is popular with consumers! The MLA sheep measles study was undertaken in WA, NSW and Tasmania. These states were selected since abattoir infection data regarding sheep measles identified high prevalence in WA, medium levels in NSW and low levels in Tasmania. In addition, from a potential for wildlife involvement, Tasmania is wild dog and fox-free*. About 100 producers were involved in the study, about two thirds with a sheep measles problem and one third without. We also undertook financial impact studies in 5 abattoirs (3 NSW; 1 WA; 1 Tasmania). Abattoirs killing mainly lambs suffered the lowest losses but mutton abattoirs in NSW were losing about $1,100/day whilst in WA losses averaged $2,200/day with peaks up to $4,000/day. Losses for individual producers are often unexpected and substantial. One producer in this study lost $4,000 on two consignments of lambs sent for slaughter in 2012. We found no identifiable on-farm risk factors pre-disposing farms to having sheep measles. We examined the faeces of 245 farm dogs and found only one infected with tapeworms. Coincidently, these turned out to be T. ovis in a dog from a farm in Tasmania. The low level of tapeworm infection in dogs is the likely result of the common use of dry dog food and wide availability of relatively cheap all-wormers for dogs containing the highly efficient tapeworm-killing drug praziquantel. We concluded that domestic dogs may not be the major source of infection for sheep now, as they once were in the past. We examined the intestines of 499 foxes and 52 wild dogs. We found T. ovis in two foxes (one from NSW and one from WA). The sample sizes of foxes collected from the various locations were variable. The two infected foxes were recovered from the localities where the largest samples were collected, equating to a prevalence of about one percent in each location. Although not high, given the fact eggs of T.ovis remain infective on pasture for at least 300 days and foxes are highly mobile covering anything from 4 to 16 km/night, only a few infected animals need be present in a given geographical area to maintain high exposure pressure on the local sheep population. Of the 52 wild dogs examined none was found infected with T. ovis, however, this maybe a reflection of the small sample examined. Nevertheless, there was no doubt some wild dogs had been consuming sheep because T. hydatigena tapeworms (bladder worm) were recovered from 4 (8.3%) of the animals. We also identified two foxes infected with T. hydatigena. Our study showed for the first time that foxes in Australia are able to act as hosts for T. ovis tapeworms, providing an additional (important?) source of infection to sheep. These findings highlight the need to modify current sheep measles control strategies. This does not mean abandoning de-worming of dogs and feeding safe foods; this should continue as it has been highly effective, but we need to consider how we can protect sheep. In 1989 data were published in the scientific press reporting the development of a highly efficient vaccine for sheep against sheep measles. A few years later, this vaccine was commercialised in New Zealand as a stand-alone vaccine. However, the marketing blunder of producing a stand-alone product ensured the failure of the vaccine because most financial losses were felt by the processors and not the producers. Despite the effectiveness of the vaccine, almost nobody bought it. To be used, the vaccine should be combined with something farmers need to use to ensure the well-being of their sheep (such as the current 6-in-1 vaccine). Over time, with wide uptake by producers, this vaccine has the potential to solve the sheep measles problem in Australia, despite the presence of T. ovis-infected wildlife. The paper below is in an open access journal site and can be accessed by clicking the reference. New subscribers to ParaBoss News (or updated current subscriptions) in June or July 2015 will go into a draw for great prizes. ParaBoss News is a free monthly e-newsletter providing state and regional updates on worms, flies and lice, feature articles on controlling sheep parasites and a quick 3-question quiz to test your knowledge. Go to www.paraboss.com.au to subscribe or to update your subscription.